Southern Arrondissement: What's Better Than The Pony Express?? It's BleuBelle Express! An extremely exciting new service coming to you from one of my favorite boutiques, BleuBelle, in Savannah! 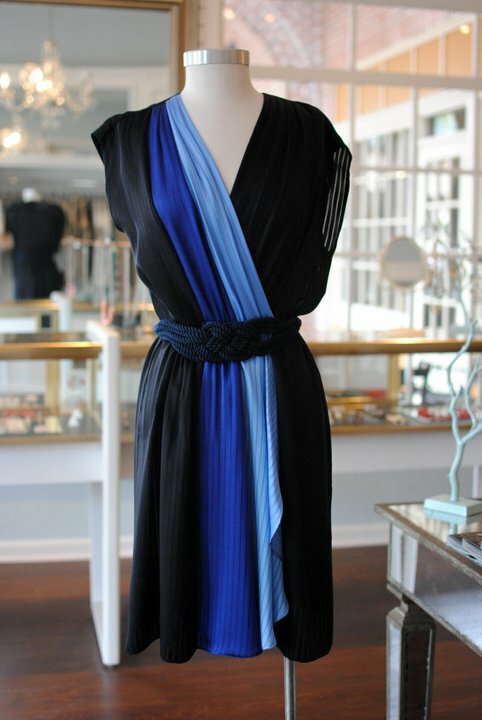 I love owner Heather Burge's taste, and I know that every time I shop their I'll leave a fulfilled shopaholic. But, alas, I no longer live in Savannah, and can't frequent the store as I'd like; now, with BleuBelle Express, BleuBelle fashion comes to me!!! As I've said before, I think BleuBelle does an amazing job in going the extra mile to do what it takes to get you an item you love, and this just goes a step further. 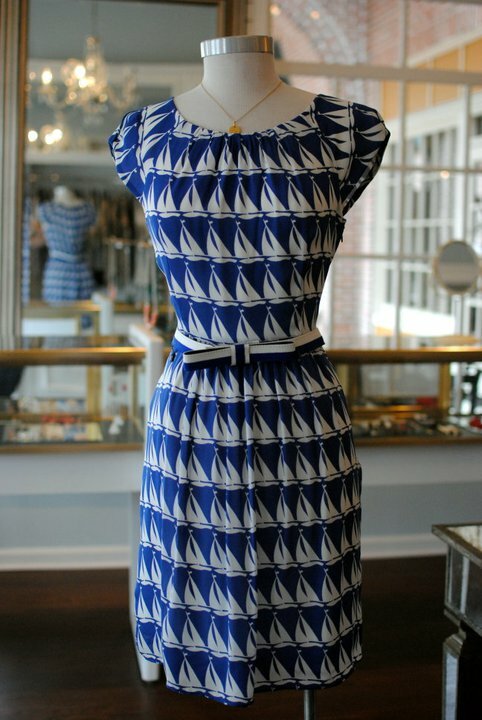 This is how it works: BleuBelle will be posting fabulous looks on their Facebook page, if you see something you love you call the store and they ship it to you (ANYWHERE) for $5! The absolute best part of this system is that you can try the item, if it doesn't work you send it back unworn within 10 days and BleuBelle will refund you through the same method of payment. 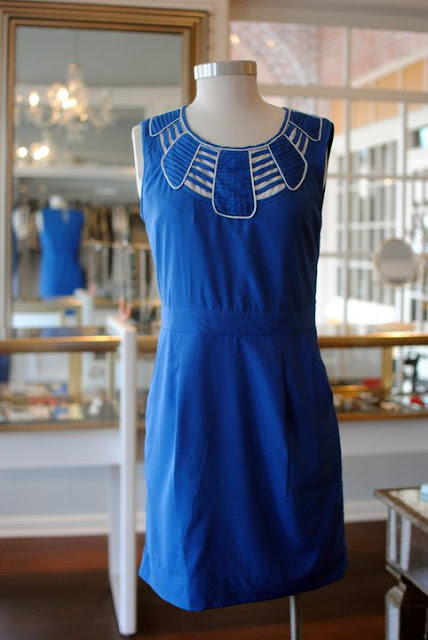 BleuBelle is one of the only boutiques I know that actually offers it's customers a refund. It just shows how much Heather never wants anyone to have buyers' remorse! (Like when I buy a dress a size too small and say that it's my motivation, and then 3 days later I realize I haven't been that size since freshman year in college?) And, as usual, if they happen to sell out of something, BleuBelle will do it's best to special order for you! Ya'll are going to love this, and it's a great way for you out-of-towners to meet BleuBelle! Here are some of my current BleuBelle Express looks, just waiting to be on your doorstep!!! 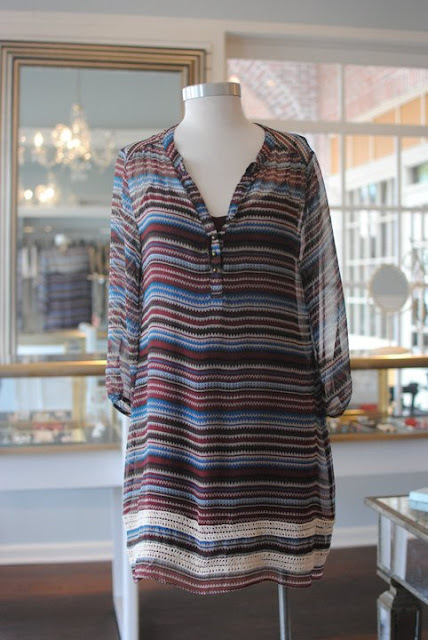 I love this Ella Moss tunic/dress, such a fun transition look to get you into Spring! 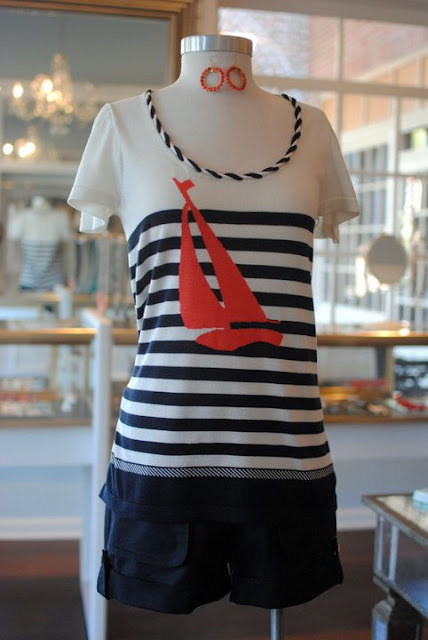 Again with the sailboat! Milly top, would be adorable with white skinny jeans! Then call them to place your orders! Happy Shopping!